Dr. J. T. Bell, physician and surgeon of Soddy, was born in Rhea County September 15, 1850, and is the son of William H. and Nancy (Rainy) Bell. The father was born in Green County and died February 19, 1876. He was a minister of the gospel in the Cumberland Presbyterian Church of which he was first to establish in East Tennessee. 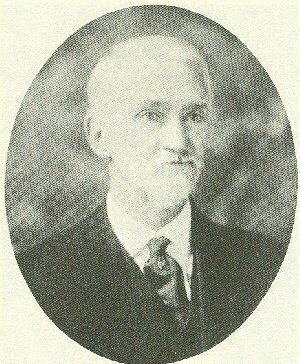 He organized congregations and built churches all over East Tennessee. A few of the many churches he was the means of building were at Cleveland in Bradley County, at Jasper in Marion County, and at New Bethel in Bledsoe County. He was taken sick while preaching in the Presbyterian Church at Cleveland during the session of the synod, was taken home and died shortly afterward. He was a charter member of Washington Masonic Lodge and was very active in the furtherance of every interest, pertaining to the prosperity of the lodge. The mother was born in Bledsoe County and died in May, 1883, in Cook County, Tex. Dr. Bell received his literary education principally at Sequatchie College in Bledsoe County, where he graduated in the mathematical and English course of study, He is also a graduate of the medical department of the University of Nashville and the Vanderbilt University. At each of those institutions of learning he acquitted himself in a highly creditable manner, taking rank with the best of the students in attendance. After attending his first course of lectures he located at Dayton, Tenn., where he remained but a short time. He was at Coulterville two years and then moved to Soddy in June, 1883, and has been quite successful as a practitioner. Dr. Bell is a young man, but his prospects seem very bright for the future. He married E. L. Abel, of Dayton, Tenn., daughter of Perry and Mary Abel. The Doctor is a descendant of purely Irish ancestry. Mrs. Bell is a member of the Methodist Episcopal Church South, and of Dutch descent. The Doctor is a Democrat and a member of the Cumberland Presbyterian Church.